After a relaxing day, a stay in a room with a view, some good seafood and buying resupplies in a well-assorted store in Senj the bus brings me to Vratnik and back to the trail.Yeah, the trail beat me on the last section, but I know good things are waiting ahead! 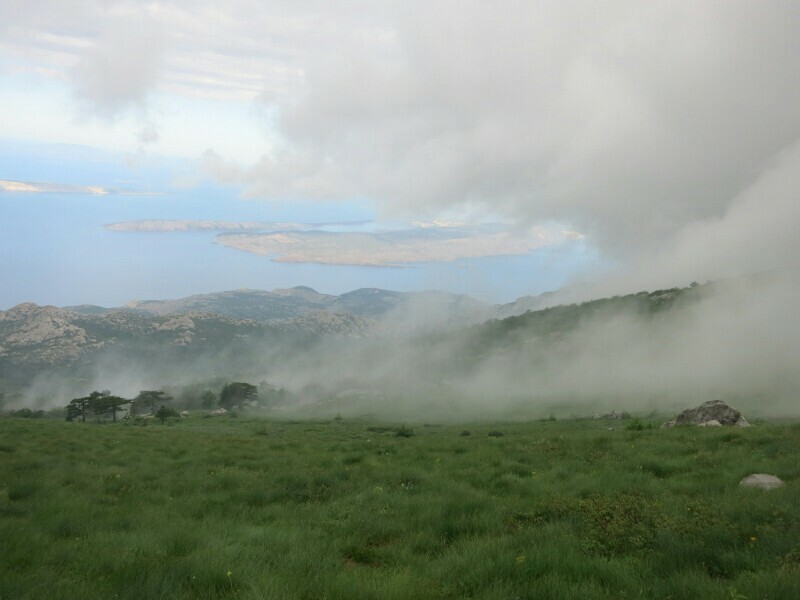 After a short road walk, all trails lead to Oltari and hiking-paradise Velebit. A candy-red Lada Niva (I love those cars! ), parked at a farm, brightens up my day. From now on things are getting better. 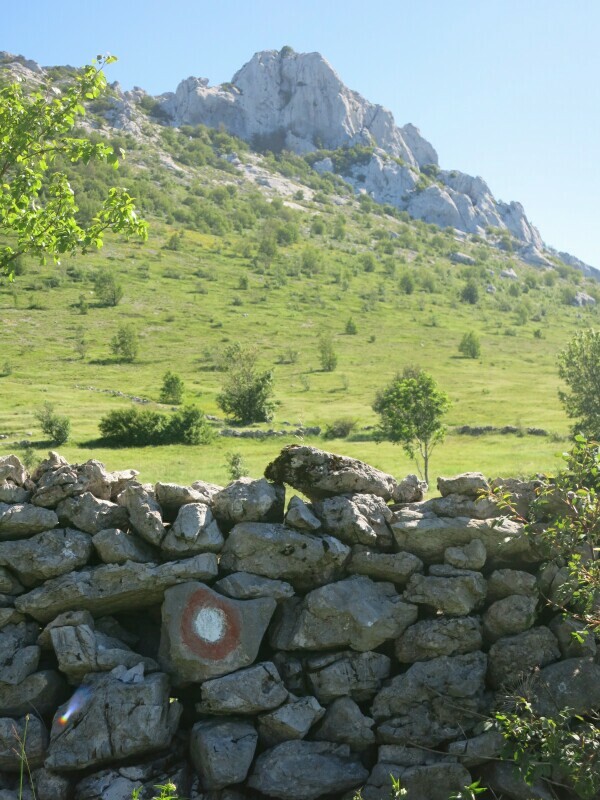 The hike to Oltari is pleasant; green hills, flowers, farmland and (almost) no bushwhacking. Since it’s a weeks’ day the hiking hut in Oltari is closed, so I install myself on the terrace. It’s got all these luxuries; a toilet, a table and bench, water from a tab (that needs to be cleaned)… Then, after finishing dinner, a dad with two kids arrive. They’re staying at the hut this week, so I move from the terrace into a private dorm. The next morning the sun is shining, but I’m not feeling fit (I caught a cold thanks to the rain). 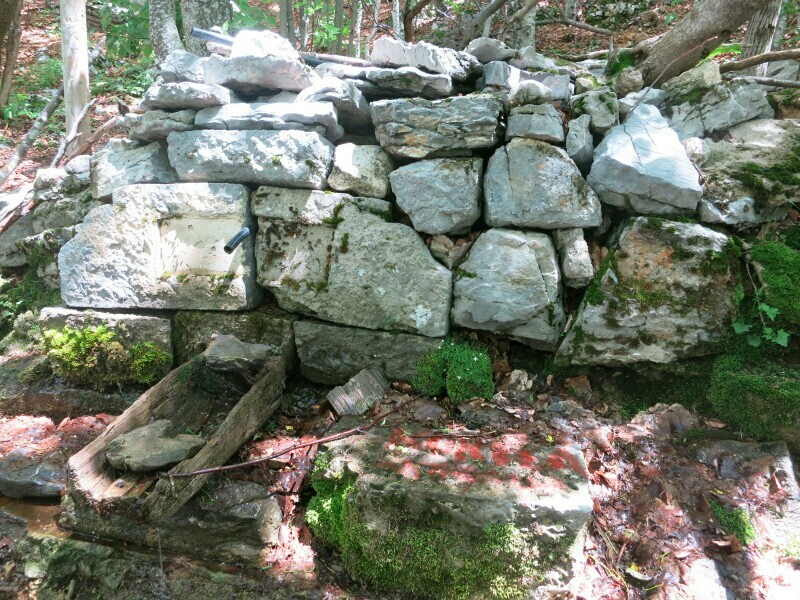 I decide to hike to mountain hut Zavižan, there I’ll see if I feel fit enough to hike on. 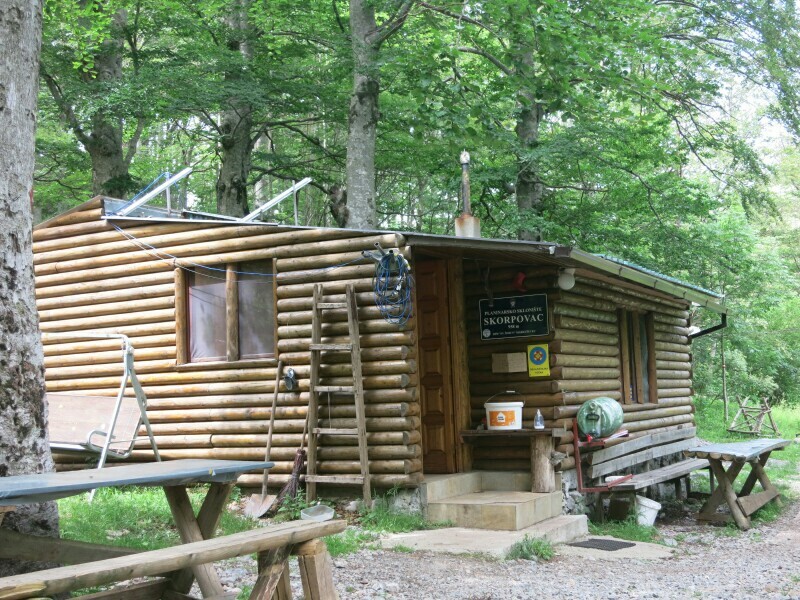 It’s still early when I arrive at Zavižan and although it’s a nice hut, today it’s not a cozy place to hang around. So, after taking a break, I decide to keep on hiking – at a slow, but steady pace. From Zavižan the Dinarica follows the scenic Premužić trail. This trail was build in the 1930’s, it leads along the mountains, but there’s small ascends and descents. 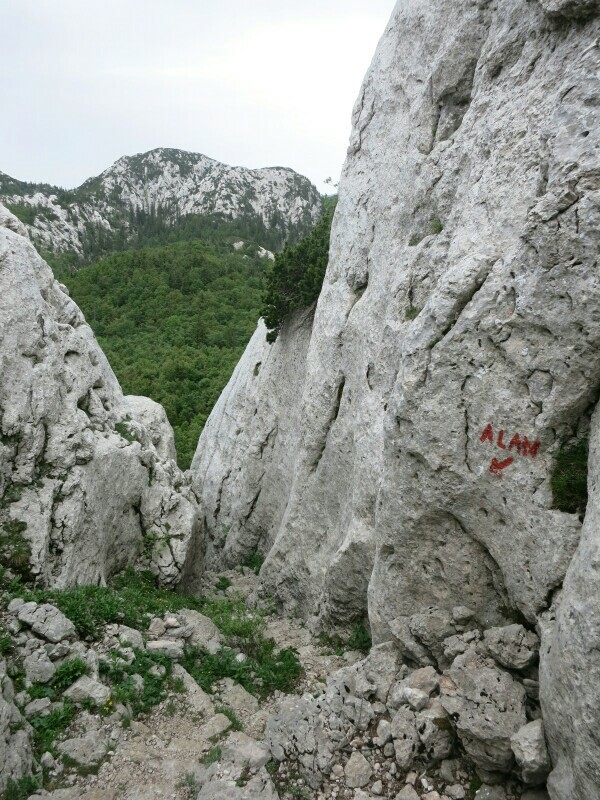 It makes an inaccessible and rugged part of Velebit easy to hike. This is like hiking a red carpet! Today is the first day I meet quite some other hikers; it’s a well-known trail, easy to get to by car and did I mention the stunning views? Too bad I’m feeling ill.
After a lunch break at Rossijevo Sklonište I decide to hike on to mountain hut Alan. 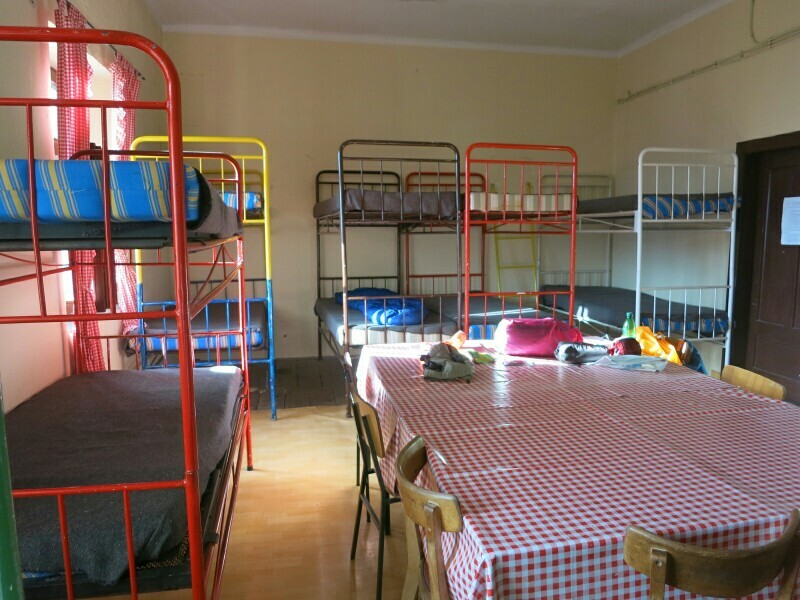 Rossijevo is a small shelter and has recently been renovated, but there are traces of Puh inside. There also a group of four French who are staying the night, I tell them about the Puh and to put away their food – I really hope they had a good night sleeping. At nine I decide to leave, this area is close to the coast and I hope the winds will change weather – after Inger, a wise Swedish stugvärd (warden), once taught me. In the afternoon it’s clear blue skies and it’s getting hot! Halfway between Alan and Skorpovac there’s a spring (there’s only a trickle of water coming from it and I bet it’ll run dry later in summer). At Skorpovac, a small shelter with a well, I pause for a while and chat a bit (in German) with the warden. He tells me not to be scared of wolfves and bears, it’s the snakes to watch out for (true, I really don’t like snakes – meeting them, makes me jump and act like a girl – ieieieieie). After leaving Skorpovac the warden’s dog joins me on my hike and while I’m not befriending him, he sticks with me. Yeah! Another Balkan experience! 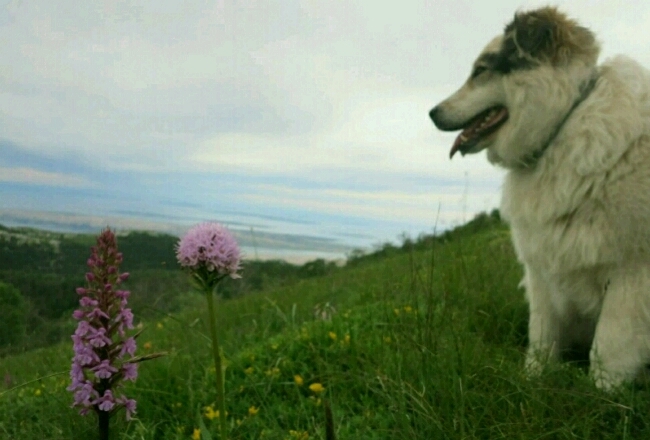 A hike in eastern Europe isn’t a hike in eastern Europe unless there’s a dog included in it. 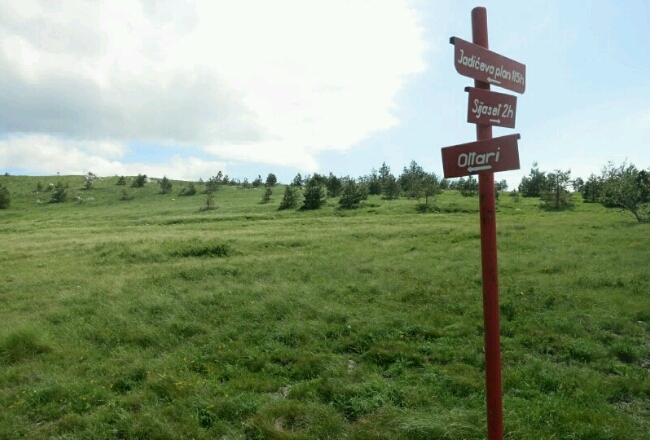 Since camping is only allowed close to the huts and shelters we hike on to Ravni Dabar. It’s a weeks’ day, so this hut isn’t open. After installing my tarp, a dog somewhere in the valley starts barking. Then another. It’s pretty loud, impressive and annoying. It is also bothering my new friend – he’s a relaxed dog but he’s getting nervous. Maybe it’s his presence in this valley? So we move to a shed that’s being used as a BBQ-area. I sleep on the table, my friend sleeps on an old cushion on the floor. I believe he caught (or scared) a Puh during the night. That morning it’s an eight kilometer hike to Baŝke Oŝterije from where the bus to the village of Karlobag runs. My friend has suddenly left me – I hope he found his way back to Skorpovac. I’m early and try to hitch to town, without any luck. At the hostel/restaurant the waitress tells me there’s no bus running, as do two elderly ladies who are out on a walk. Again I try to hitch. Again no luck. Then, lucky me, there’s the bus! The ride about a 1000 meter down to the coast is stunning. Karlobag is a tiny and relaxed village. I stayed at the decent and cheerful hostel Val. There’s a few small shops and with a bit of creativity I manage to buy resupplies for the next 100 km. Check this link for GPS-tracks and more info. 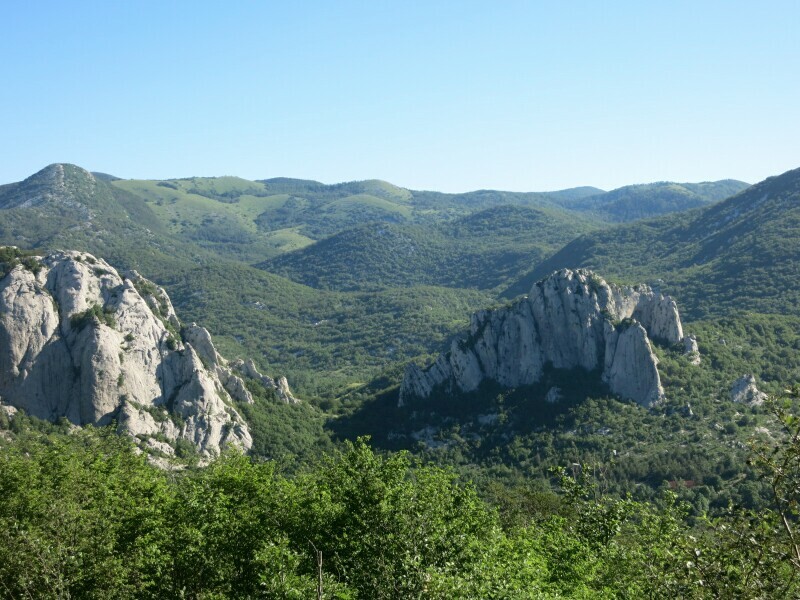 These stages are part of the Velebit Hiking Trail (VPP), check this link for more info. More pictures on Instagram. Support my adventures and buy me a coffee, soda pop or a high calorie meal. 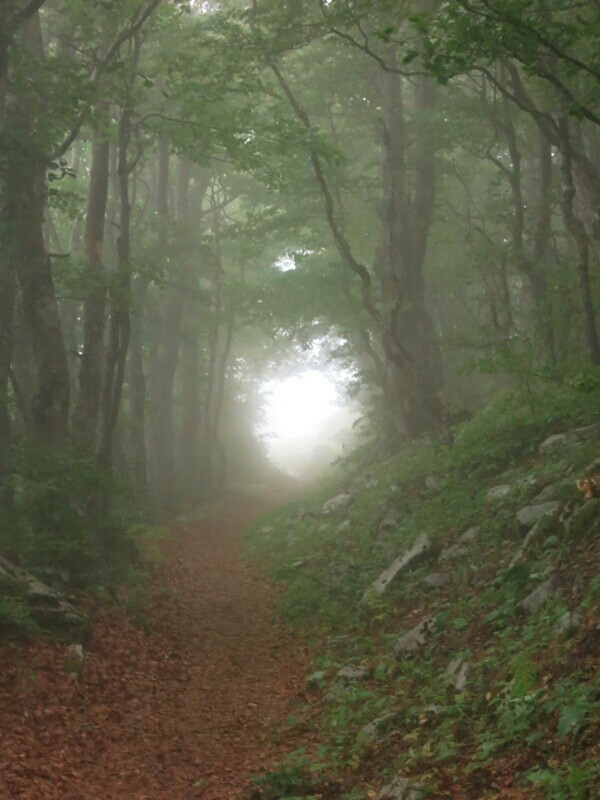 This blog has blog has been written on trail and on a mobile phone.